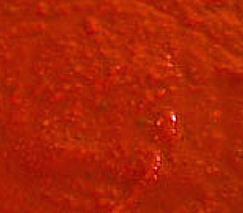 This classic sauce is thought to be of Tunisian origin, but is found throughout all of Africa. It is used to flavor couscous and grilled dishes such as Kebabs. Harissa Sauce reflect the region's love of spicy combinations all with a definite cumin and coriander flavor. Cover this sacue with a thin film of olive oil and it will keep up to a couple of months in the refrigerator. Cover the chiles with hot water and let them sit for 30 minutes until they soften. Place the chiles and remaining ingredients in a blender and puree until smooth using the chile water to thin it. The sauce should have the consistency of a thick paste.